The genitive case is used in the sentences like "Каковы свойства ..." (What are the properties of ...). The English equivalent of the genitive case is the preposition "of". The nouns in the genitive answer such questions as Кого? Чего? (Of whom? Of what?). Свойства чего? Свойства металла. - The properties of what? The properties of metal. Это берег чего? Это берег реки. - This is the bank of what? This is the bank of the river. Это книга чья? Это книга Лены. - Whose this book is? This is Lena's book. The main role of the genitive is to show where the person or thing belongs to or what it relates to. For example: крыша дома (the roof of the house), пачка чая (the pack of tea). Numerals 2, 3, 4 and their compounds are always followed by the genitive singular case. The genitive is usually used with the following prepositions: без, для, до, из, из-за, из-под, кроме, на, от, с, со, у, около, вокруг, недалеко от, позади, напротив, посреди, мимо, вдоль. However you should know that the genitive is not the only case used with these prepositions. Учитель просит внимания. The teacher calls for attention. Розы боятся холода. The roses are afraid of cold. У него не было денег. He did not have money. У меня нет брата. I do not have a brother. Forming the genitive of Russian nouns is pretty easy. 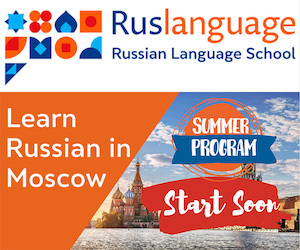 You will need to remove the last vowel from the nominative singular of a noun and add one of the following endings: -а, -я, -и, -ы (singular); -ов, -ев, -ей (plural). If the noun ends in a consonant, just add the appropriate ending. This process is summed up in the tables below. Add -а to masculine nouns ending in a hard consonant (брат) and neuter nouns ending in -o (окно). Add -я to masculine nouns ending in -й, -ь (чай, учитель) and neuter nouns ending in -е, -ие (море, орудие). Add -и to feminine nouns ending in -я, -ь (печь). Add -ы to feminine nouns ending in -a (вода). Exception 1: Because of the spelling rules, you should use the ending -и instead of -ы in feminine nouns ending in hard к, г, х or ж ш. For example: девочка - девочки, книга книги. Exception 2: Because of the spelling rules, you should use the ending -а instead of -я in masculine nouns ending in ч, щ. For example: ключ - ключа, товарищ - товарища. Exception 3: Maculine nouns ending а, я follow the same pattern as feminine nouns ending in а, я. For example: папа - папы. Add -oв to masculine nouns ending in a consonant. Add -ев to masculine nouns ending in -й. Add -ёв to one-syllable nouns like край, чай. Exceptions are nouns like брат, лист which get the ending -ьев. 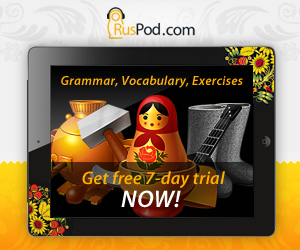 Add -ей to feminine nouns ending in -ь and masculine nouns ending in -ь, ж, ч, ш, щ. Add -й to neuter nouns ending in -e.
Neuter nouns ending in -o and feminine and masculine nouns ending in -а, -я lose their endings.